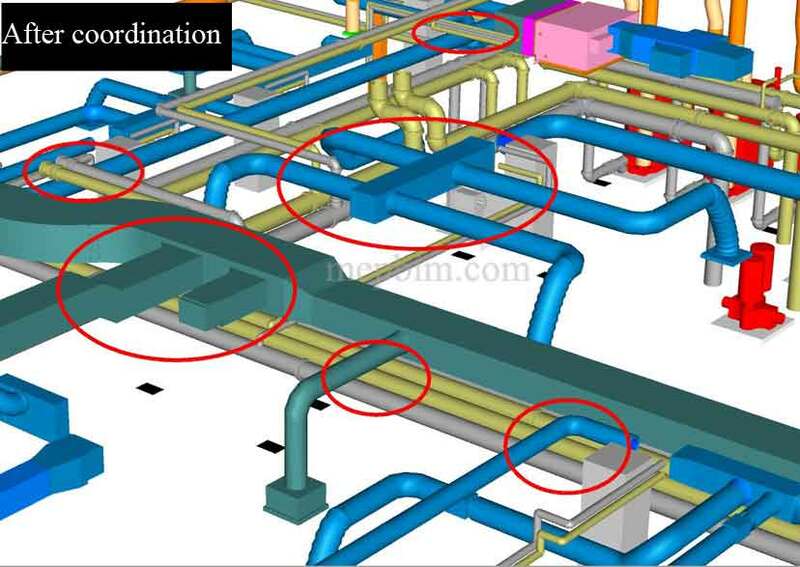 MEP BIM coordination is one among our core areas of expertise. Since the inception of the company in 2007, we have been offering HVAC BIM, Piping BIM, and Plumbing BIM Coordination Services to our global clientele of Mechanical, HVAC, Electrical & Plumbing Contractors/ Engineers. The crew of experienced engineers working with us is conversant in using Navisworks manage and Autodesk’s BIM 360 Glue, enabling them to effectively identify and resolve coordination issues in the MEP 3D BIM models. What do we do as an MEP BIM coordination service provider? Backed by a team of 70+ MEP engineers, Advenser offers competent MEP BIM coordination services that are realistic and ready to be installed. We also provide accurate and detailed coordinated drawings of the highest quality to our clients. Our team of MEP engineers ensures that the MEP coordination drawings we develop can be used by engineers/architects to develop better schedules, minimize material and cost losses and maximize production efficiency. Wondering about our experience in MEP BIM? We place ourselves before the AEC industry as a leading MEP BIM service provider with a successful track record of completing 1500+ MEP BIM projects. Over the years we have worked for some of the major players in the MEP industry in some of the prestigious projects of the 21st century. Our team of MEP engineers has 8+ years of BIM experience and exposure to the international industry standards making them capable of offering the best in the industry MEP BIM coordination service.